Never mind rock 'n roll. For many, jazz ruled the world in 1959. In many ways it was the music of the young and educated. It was not music of rebellion. It was seen as music of intelligent appreciation. 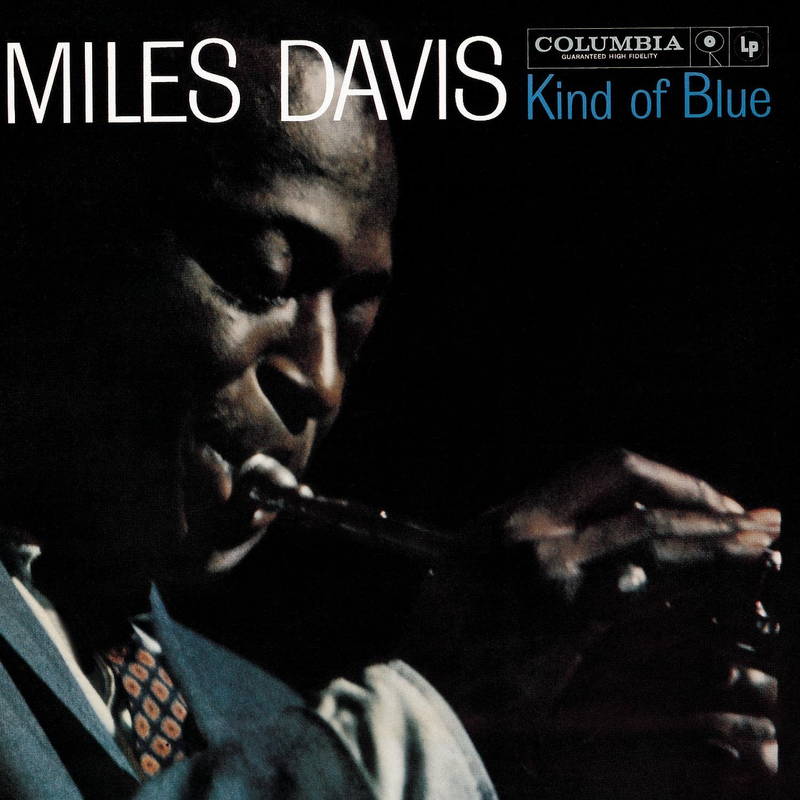 This was a cornerstone of that classic period and is considered by many to be the finest jazz album of all time. Indeed, for lots of people, this is the only jazz album they own. Good as it undoubtedly is, this is probably doing many other albums a bit of a disservice, however. I am not a "proper" jazz fan, I have to admit, but I do own several jazz albums, of which this is one, So, why is it so revered? I feel the appeal of it is that it its a groove and stays there, for pretty much the whole album, from those first subtle and melodic bass lines on "So What". What a bass line that is, by the way. There are not huge changes of mood or pace. 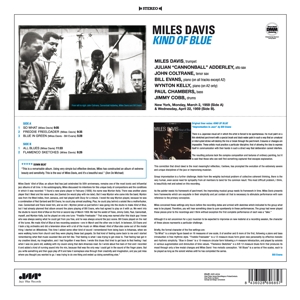 It is improvised, instrumental jazz of the highest order and I have read that the musicians - Davis, Cannonball Adderley, John Coltrane and Bill Evans among others did not rehearse the numbers - Davis gave them their initial framework and they just improvised. If that is the case, and it no doubt is, then it certainly is a remarkable piece of music. It moves effortlessly along, but to think that it is, in effect, made up on the spot as they went along is mind-blowing, really. The great thing about the album is that it serves fantastically as background late night music or dinner party music, yet it can also be listened to in order to experience all the nuances in it as well. It is, as all the reviews seem to say, "modal", whatever that is, and they rave about the lack of chord changes and so on. I literally know nothing about that. I have Davis' earlier album, "Milestones", which was also modal, apparently. I wasn't aware of that, either. Maybe ignorance is a great position from which to approach the albums, with an open, inexpert mind. I know that it has a superbly laid-back ambience and relaxed feel to it and it clearly contains musicianship of the absolute highest quality. As in all these fifties/sixties jazz recordings, the sound quality is superb too. How did they manage that so far in advance of their rock/pop counterparts, I wonder? The stereo version of it is sublime. Perfection, actually. Anyway, anyone looking for an introduction to the beauty of jazz should probably start here, but also be aware of plenty of other excellent material that exists too.